According to ESPNcricinfo, West Indian cricketers might go on strike following a significant cut-down on salaries in their new fees structure. The news has come as a shock after ODI skipper Dwayne Bravo wrote on the eve of their first ODI against India in Kochi claiming that the players were “hoodwinked” by West Indies Players Association (WIPA) president and chief executive Wavell Hinds. The letter claims that Hinds did not take the players’ inputs into consideration when he signed a MoU with the West Indies Cricket Board (WICB) and warned that the players might take appropriate action regarding the same. "We wish to make it very clear that should the players be forced to take matters into their our own hands, we will not hesitate to take the appropriate action as see fit. We will hold you and the WIPA Board who support this process liable," Bravo said. It has to be noted that players like Chris Gayle and others stars have time and again gone on strike because of salary-related issues and misunderstandings with the WICB in the past. Following the news, the WICB has come out with a press release apologising "to the fans, the BCCI and all other stakeholders should the first ODI be disrupted as a result of player action. 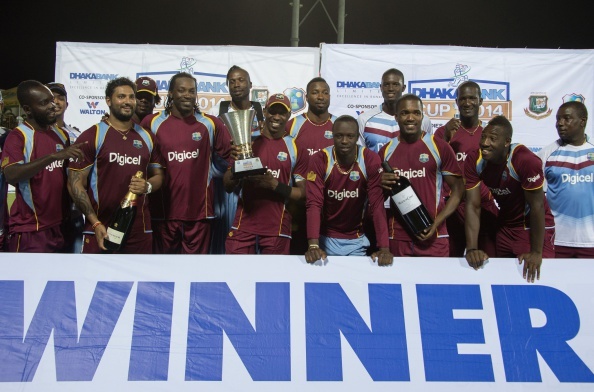 The WICB is making every effort to ensure that it fulfills all its commitments and that cricket is played." According to Bravo, the players now understand that their Test, ODI and T20 fees have been decreased by up to 75%, with image rights and ICC fees reduced by almost 100%. The Trinidadian further claims in the letter that they were aware of this significant reduction in salaries only after the players regrouped in India. Terming the MoU as a "purported agreement", Bravo said the match/tour contract with a new fee structure was quite different what was in place in the past. The 31-year-old also stated that Hinds has not responded to the players’ attempts to get in touch with him. "We are disappointed with the lack of proper representation and the players are now forced to make this proposal without any details as to how this new purported agreement was even arrived at and by whom, since the only advice we have received from you as President and CEO of WIPA is to not sign the contract /agreement that was sent by the WICB. “The players are of the view that as a matter of principle, we should not accept these conditions whereby we are being asked to play a series against India without any certainty of what are our obligations and what we will be playing for," the letter further read.